E allora, cosa non può davvero mancare in questi mesi nel vostro armadio? Ecco la mia lista dei 5 capi must per questo autunno, quelli di cui non potrete fare a meno! Autumn is officially here, and I am super ready to say goodbye to shorts and bikinis to welcome jeans and sweaters. In fact, this is the right season to have fun with new clothes combinations, to try some new layers and, most important thing, to renew your wardorbe with the latest trends. So the question is, what do you really need to have these months in your closet? Here is my list of the 5 must-have items for this autmn, those you will really don’t want to miss! Come vi avevo già detto nella mia wishlist di settembre, il capo che regna indiscusso in questa stagione è il bomber. I miei preferiti sono quelli con grandi stampe sul retro, meglio ancora se floreali. I colori migliori? Verde militare e rosa. 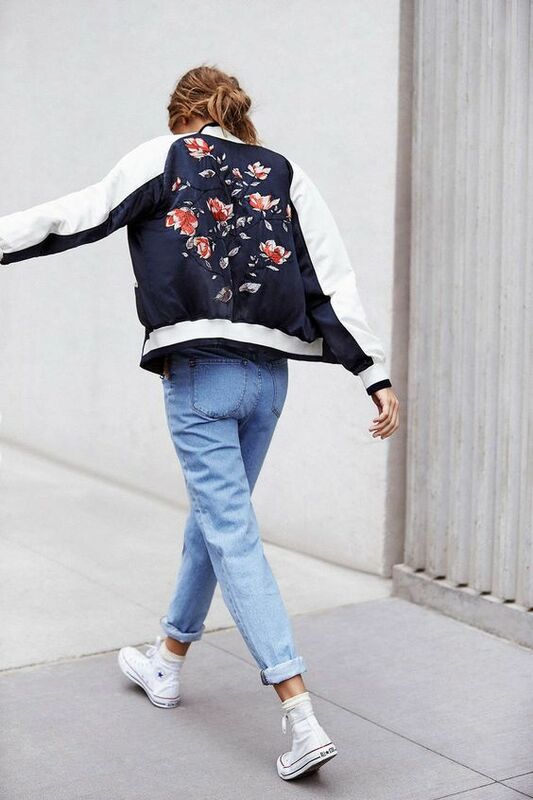 As I already said in my September wishlist, the ruling item this season is the bomber jacket. My favourite ones are those with big prints on the back, especially floral ones. The best colours? Military green and pink. Senza dubbio i pantaloni palazzo sono uno dei principali trend di questa stagione. Larghi, a vita alta e comodissimi: il capo giusto per chi ama lo stile un po’ retrò. Il tocco in più? Un fiocco in vita, per rendere l’outfit ancora più elegante. Palazzo pants are certainly one of the main trends of this season. High-waisted, large and extra comfy: the right item for retrò-style lovers. Wanna make them even more elegant? Tie them in a bow on the waist. Probabilmente le avrete già viste da qualche parte: le giacche con fantasia jacquard sono il vero must-have per le amanti dello street style. D’impatto, eclettiche e versatili: impossibile non innamorarsene! You have probably already seen them somewhere: the jacquard-patterned jackets are the real must-have for street style lovers. Eclectic and versatile: it’s impossible not to fall in love with them! Il velluto è il tessuto più gettonato per l’autunno inverno 16/17: un esempio? Gli stivali alla caviglia, perfetti sia per il giorno con un look più informale che per la sera, abbinati ad un mini-dress. Velvet is the most-wanted fabric for fall winter 16/17: an example? The ankle boots, perfect for the day with an informal look, but also for a night out combined with a mini-dress. Una semplice t-shirt bianca è uno di quei capi che possono essere reinventati all’infinito. Ne è la prova questo trend, perfetto in autunno da abbinare con una giacca e un paio di stivaletti alla caviglia: sopra la t-shirt uno slip-dress, che cambia radicalmente la classica “maglietta bianca”. A simple white t-shirt is one of those items that can be reinvented infinite times. 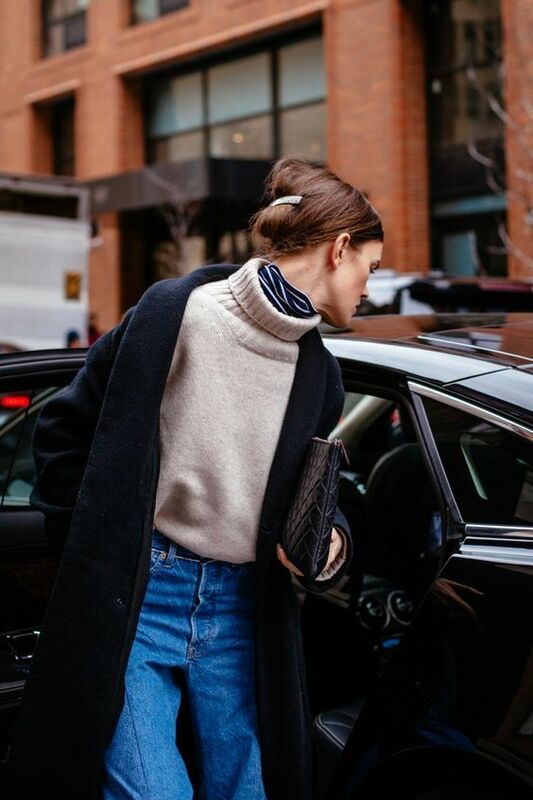 And this trend totally proves it: perfect for fall to be combined with a jacket and a pair of ankle boots, all you need to do is to put a slip-dress above the shirt, so the classical “plain shirt” is definitely changed. E voi, quali trend avete adocchiato finora? Fatemi sapere quali sono i vostri must-have di stagioni! What about you? What trends have you find out until now? Let me know your must-have for this season! 36 risposte a "5 items you must have this fall"
Couldn’t agree more! Those velvet boots are amazing! Such a great trend report, girlie! 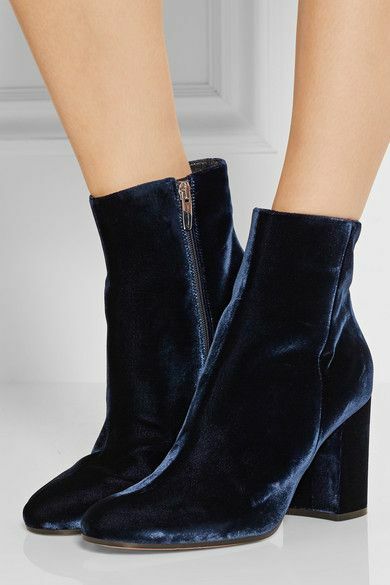 I’ve been eyeing a pair of velvet boots that keep selling out in my size 😦 Fingers crossed that they’ll be restocked because they’re so beautiful for the season! Thanks for sharing and I hope you’re having a very Happy Friday so far! I have a similar pair of velvet booties that I just love! Palazzo pants are so gorgeous! Loving all the trends for Fall! Such a inspiration! Wow great choices dear, 4 & 5 are a must for me!! Thanks for sharing! Ahhh adoro troppo questi capi! sono stata in Inghilterra quest’estate e queste cose cominciavano già ad esserci nei negozi e… beh mettiamola così, mi sono dovuta sedere sulla valigia per chiuderla! complimenti per l’articolo! Grazie mille, mi fa davvero piacere leggere questi commenti! Un bacio! Nice pics! Need those booties in my life! I need to get a bomber jacket! fun post! I was going to try Italian comments but then I realise my Italian fashion vocab does not allow me to hah! I am going for military boots ! I also like velvet but military is more masculine? I like mixing femininity with masculinity! You included all my favorite trends for the fall! Somehow I don’t yet have a bomber jacket or anything velvet but am so in love with both looks! Thanks Kasie! Bombers and velvet are definitely some of my favourite! I love all of these! And I definitely need to try out the dress + tshirt look! !